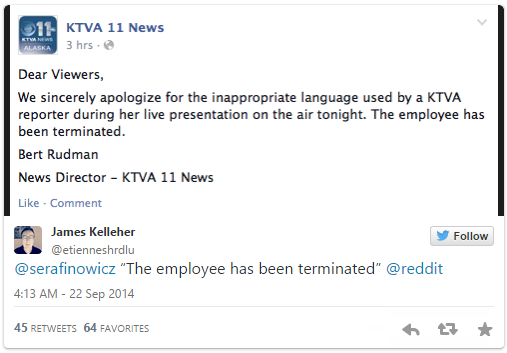 Alaskan Reporter Quits On Live TV, "F*ck It, I Quit"
Alaskan Reporter Quits On Live TV, “F*ck It, I Quit”. Say what you mean, mean what you say – This is a quote that ‘former’ Tv News Anchor Charlo Greene obviously lives by. Greene says that she would be devoting all of her energy to “fight for freedom and fairness, which begins by legalizing marijuana in Alaska.” She then walks off-camera, leaving the anchor stunned and speechless, stuttering into her next segment. Before Greene’s segment aired, followers of the Alaska cannabis club sent out posts on Twitter and Facebook urging people to tune in. Greene says her station had no idea what she was going to do. In a statement to KTVA, Green explained her decision to quit on-air, “Because I wanted to draw attention to this issue. And the issue is medical marijuana. 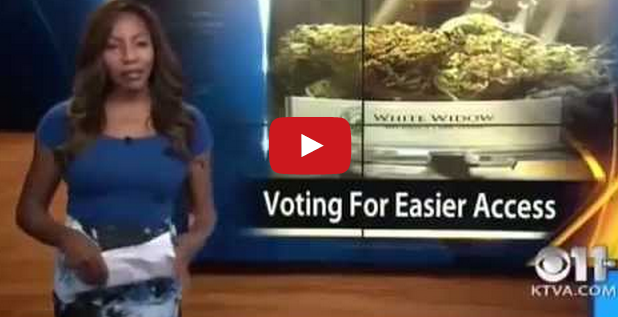 Ballot Measure 2 is a way to make medical marijuana real. Most patients didn’t know the state didn’t set up the framework to get patients their medicine. If I offended anyone, I apologize, but I am not sorry for the choice I made.” KTVA says Greene has been “terminated.” CLICK HERE —> TO LIKE DAILY BUZZ LIVE ON FACEBOOK!